Celebrity introduces the key terms and concepts, dilemmas and issues that are central to the study and critical understanding of celebrity. Drawing on two dynamic models from two different modes of enquiry – the circuit of celebrity culture and the circuit of celebrity affect – this book explores the multi-layered, multi-faceted contexts and concepts that sit within and surround the study of celebrity. Through building a critical story about celebrity, Sean Redmond discusses key topics such as identity and representation; the celebrity body; the consumption of celebrity and celebrity culture; and the sensory connection between fans and celebrities, gender, activism, gossip and toxicity. 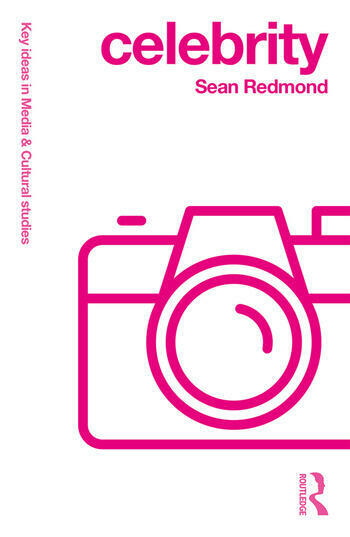 Including case studies on Miley Cyrus, David Bowie, Scarlett Johansson and Kate Winslet, Celebrity is a dynamic and topical volume ideal for students and academics in celebrity and cultural studies. Sean Redmond is Professor in Screen and Design at Deakin University, Australia. He convenes the Melbourne-based Eye Tracking and the Moving Image Research Group, and the Science Fiction Research Group at Deakin University. He has published numerous books on celebrity, including A Companion to Celebrity (2015), Celebrity and the Media (2014), and Framing Celebrity: New Directions in Celebrity Culture (2006). With Su Holmes, he edits the journal Celebrity Studies, short-listed by The Association of Learned Professional Society Publishers for best new academic journal in 2011.